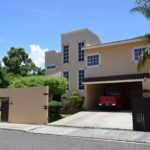 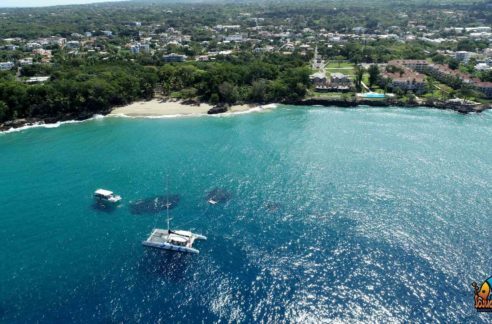 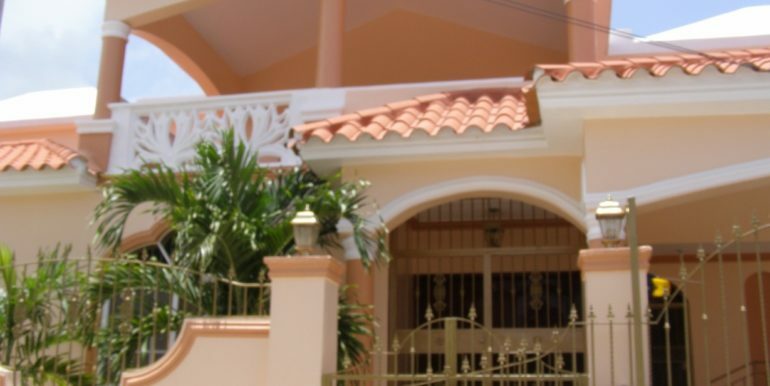 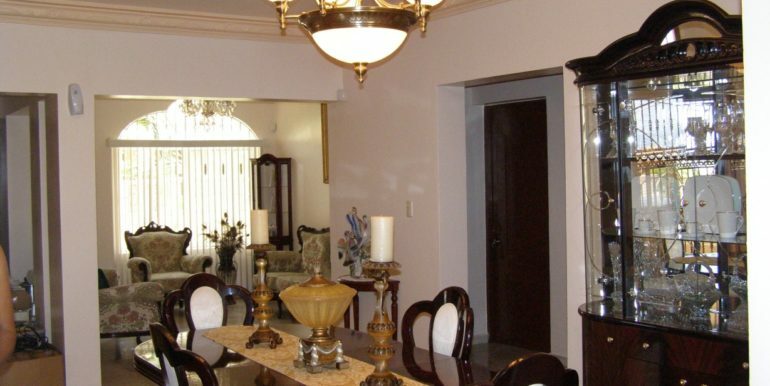 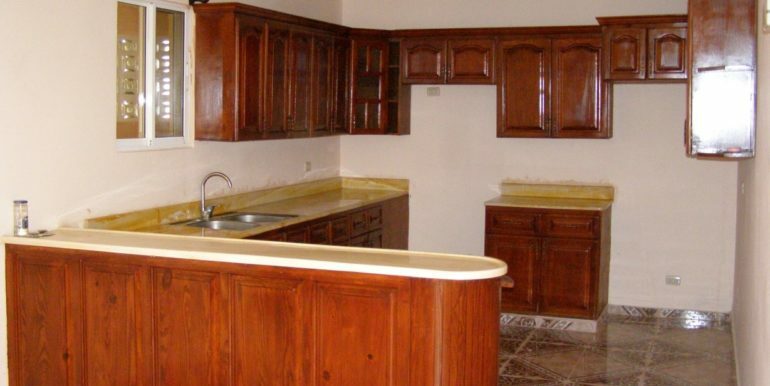 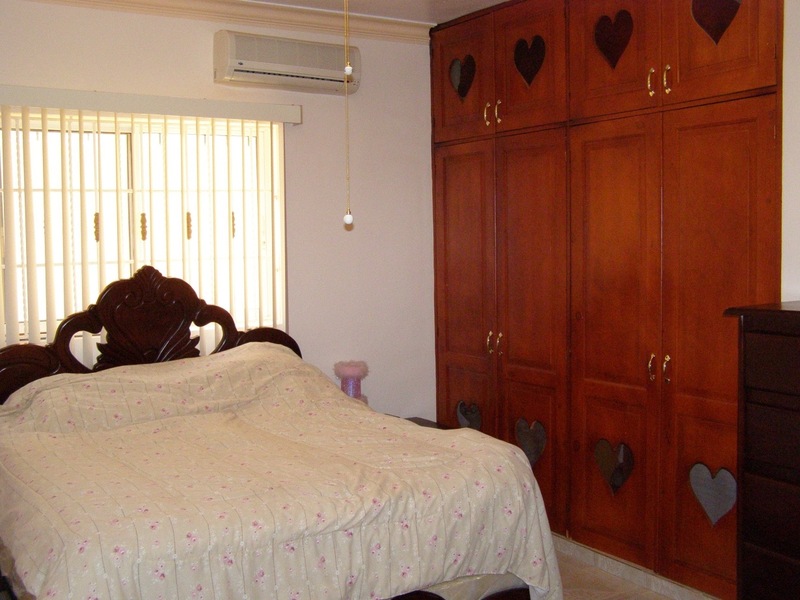 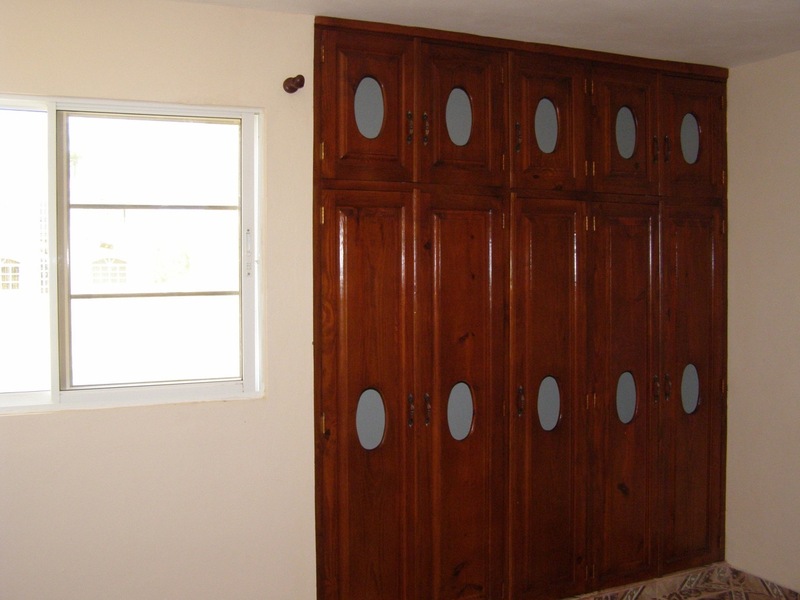 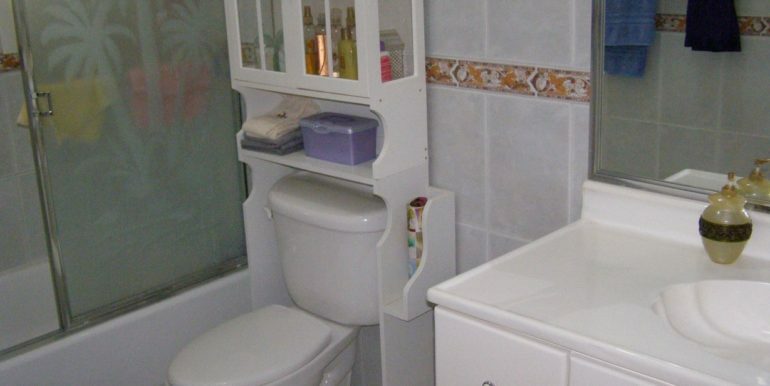 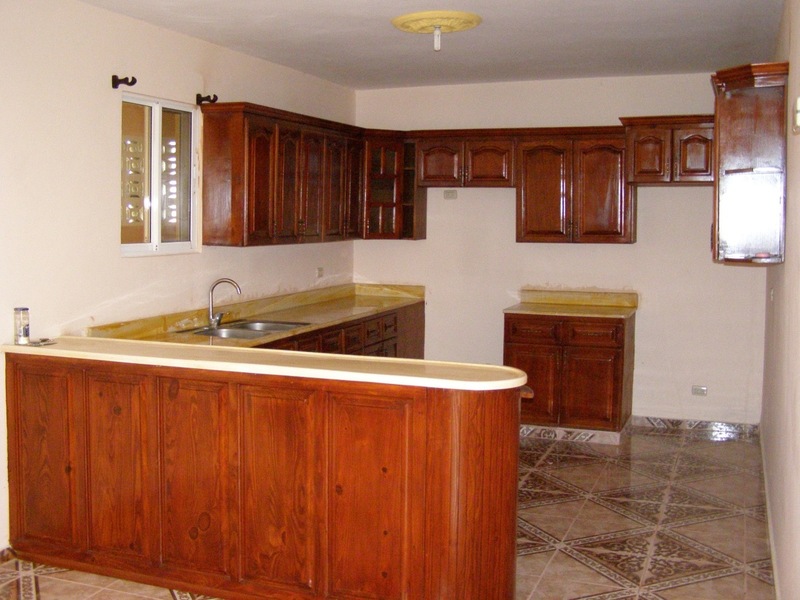 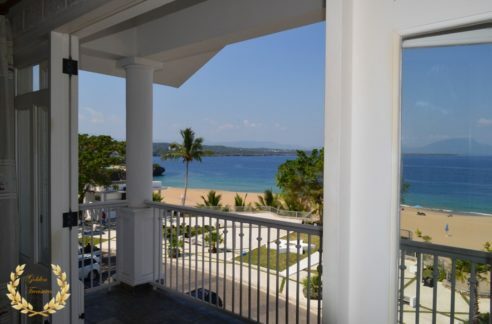 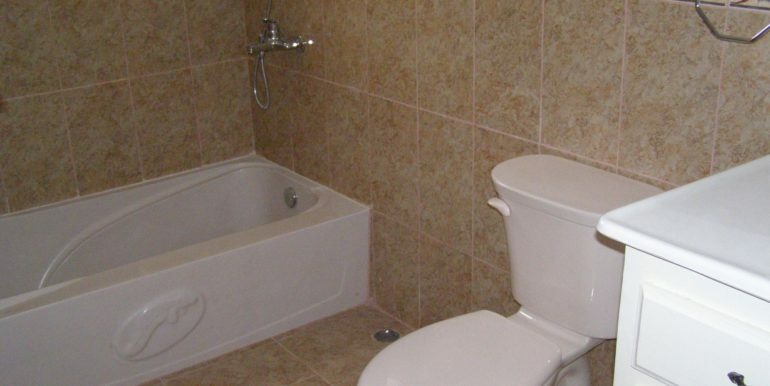 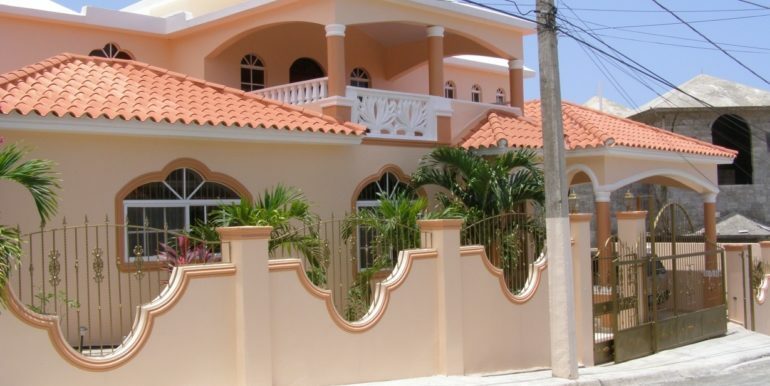 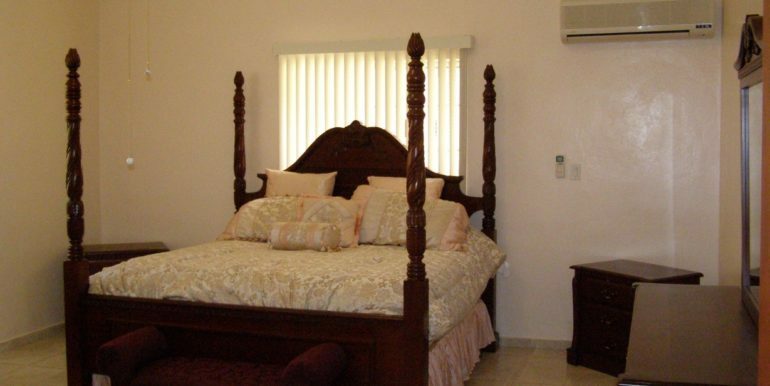 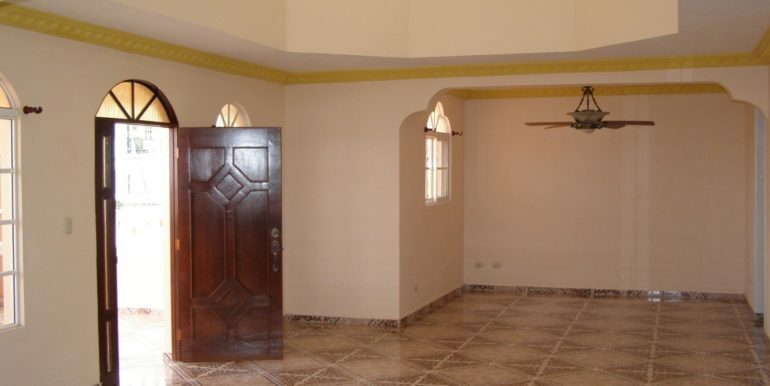 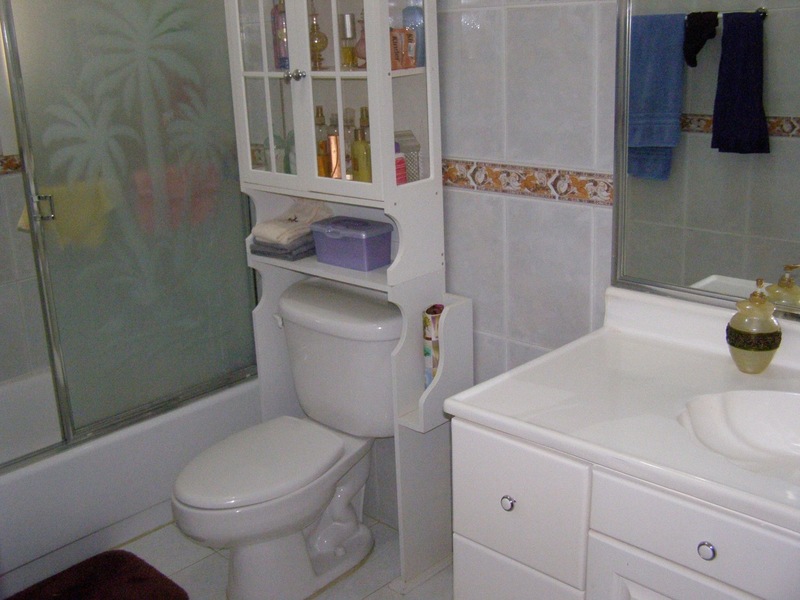 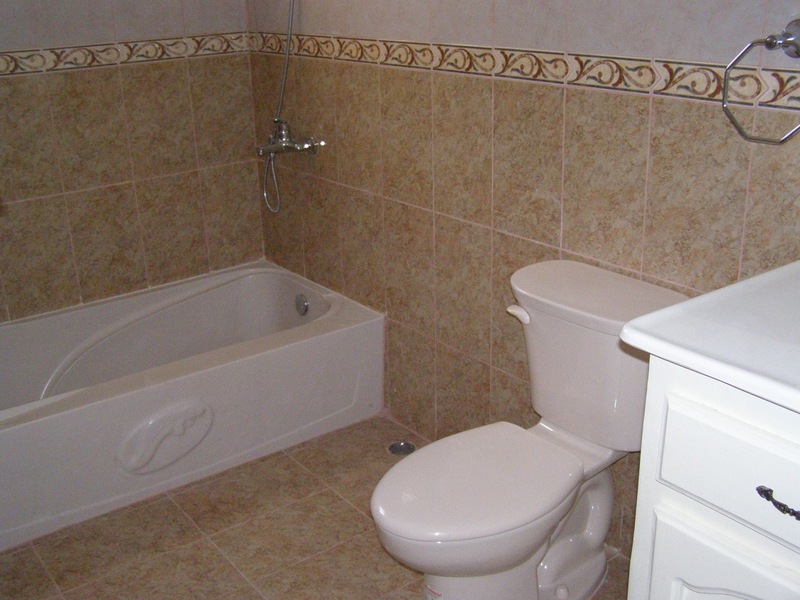 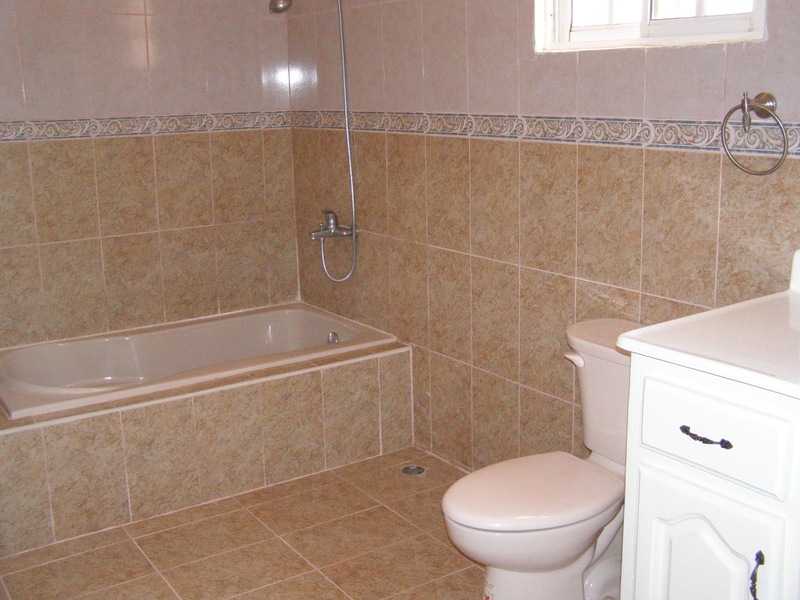 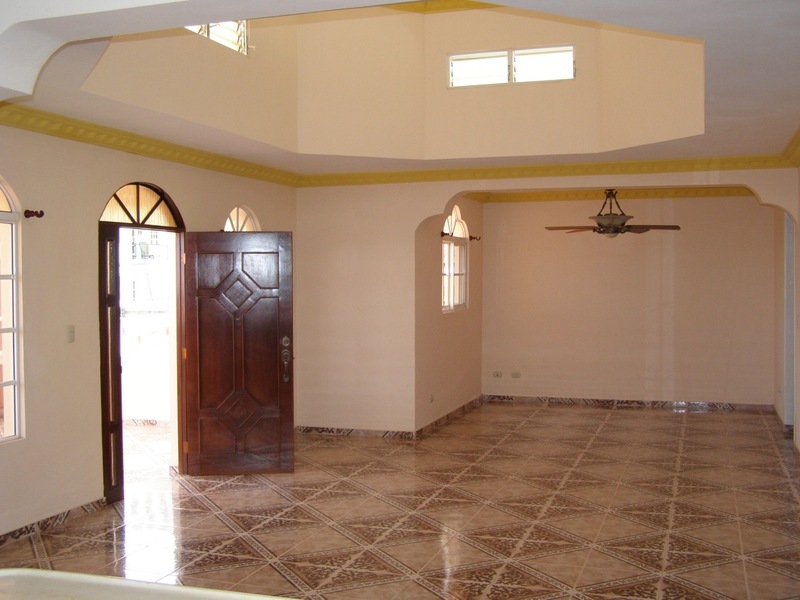 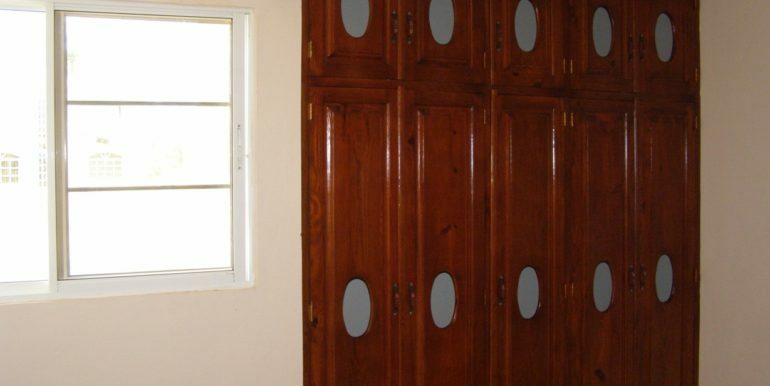 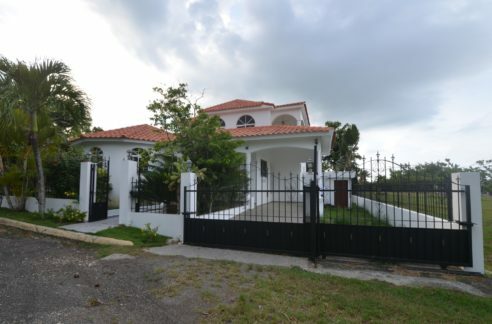 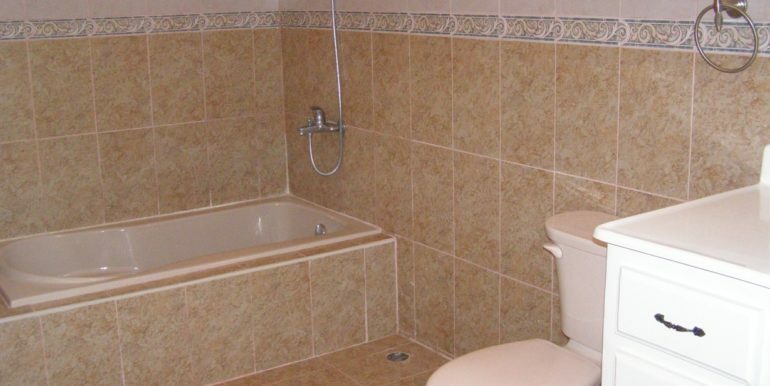 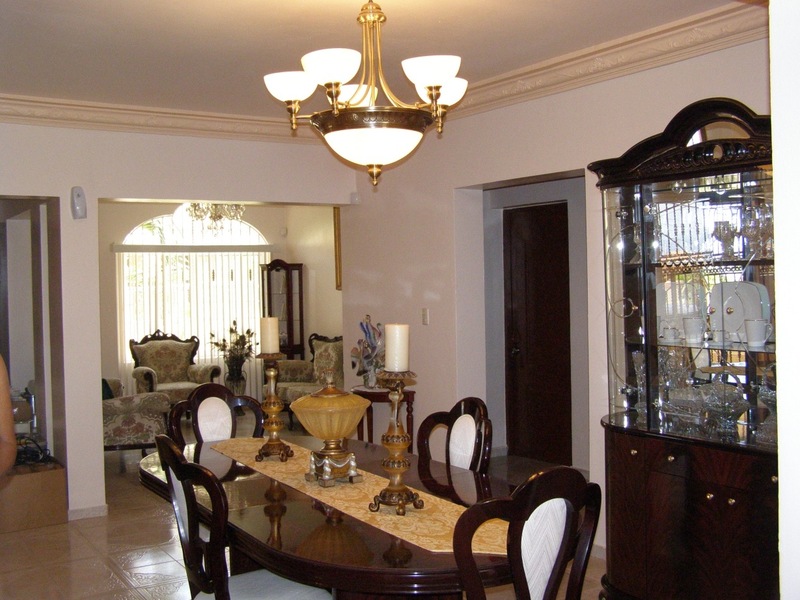 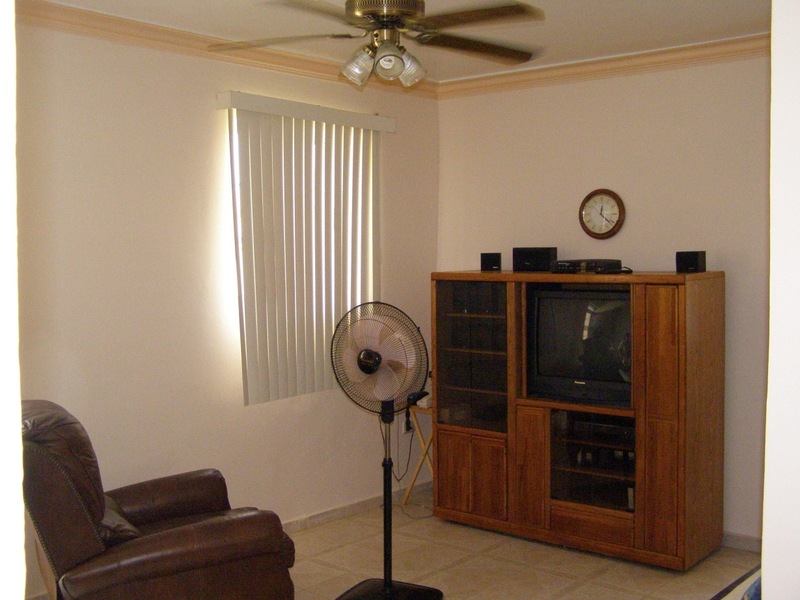 Large, elegant and spacious house for sale in Puerto Plata, Dominican Republic. 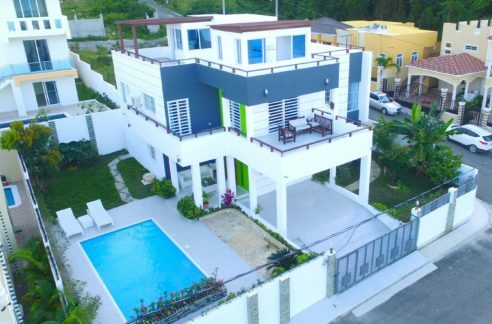 A 2 story home with 5 bedrooms, 3 living rooms, 4 bathrooms, laundry area, car port, balcony, studio lounge, entertainment/media room, moldings in the walls and columns, mahogany wood doors and cabinets and strong construction throughout the house. 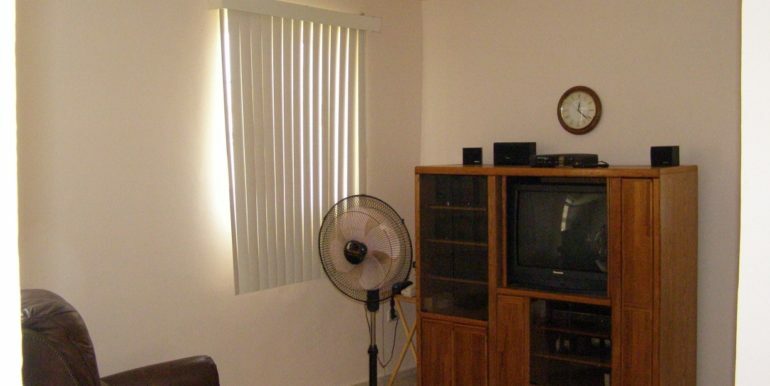 Air Conditioning is also included in the sale. 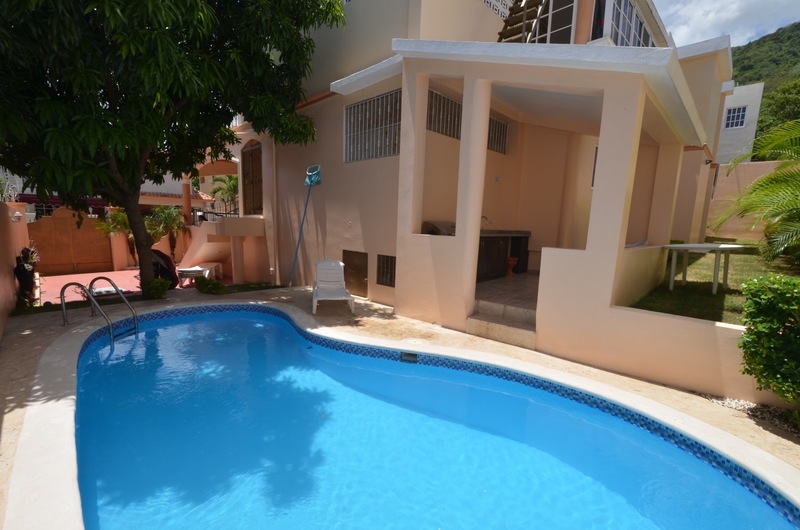 The swimming pool sits on the right back side of the house, near a BBQ area. 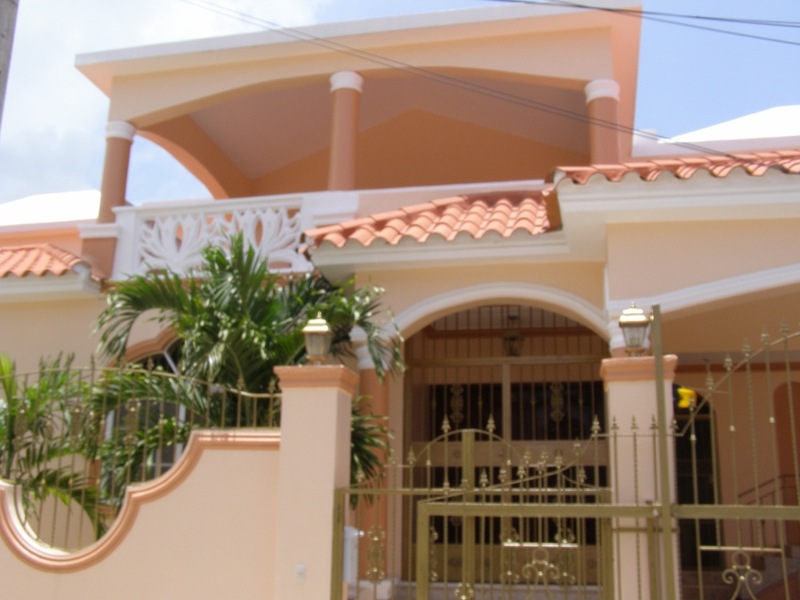 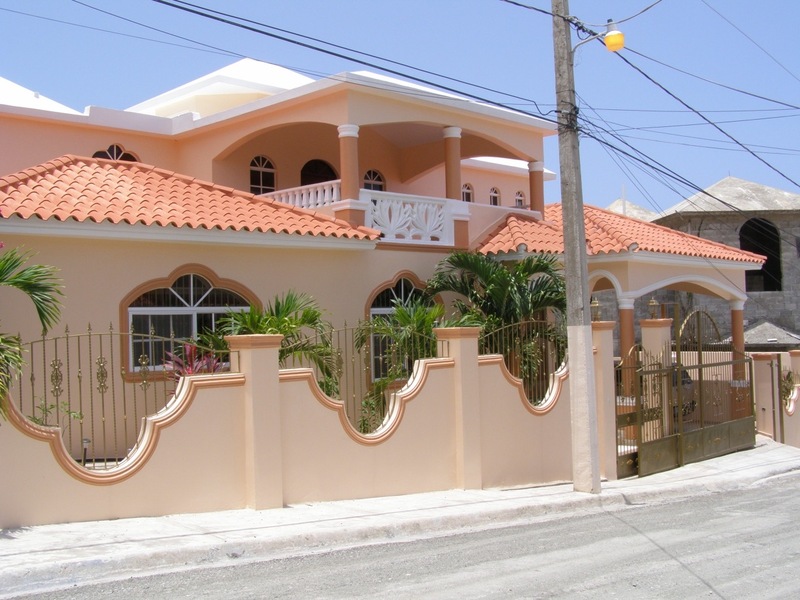 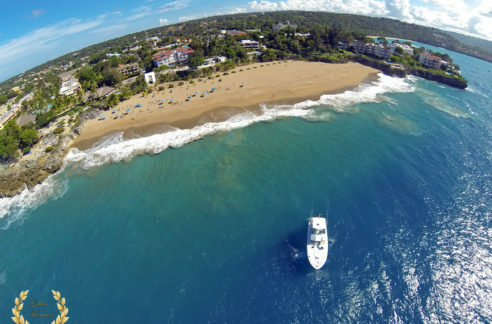 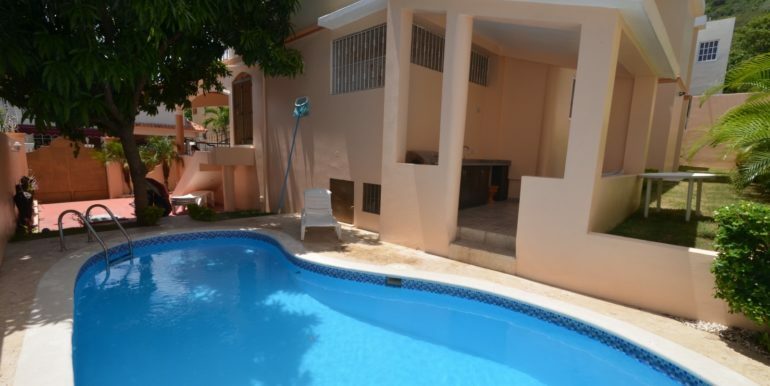 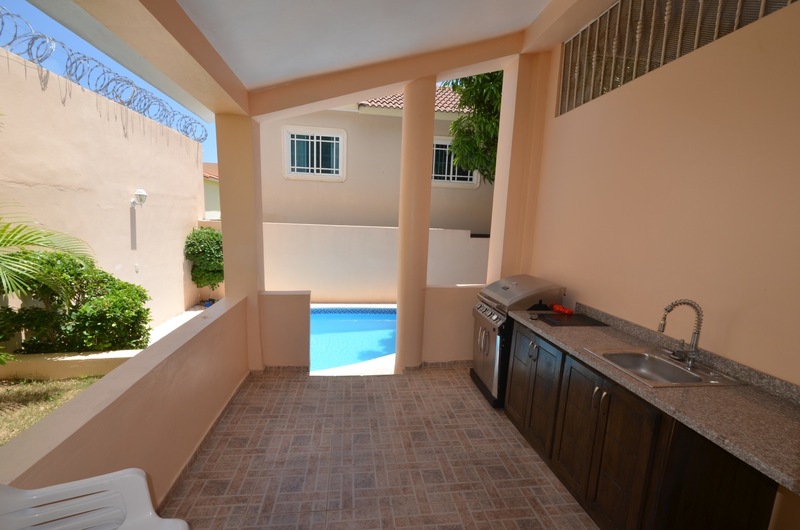 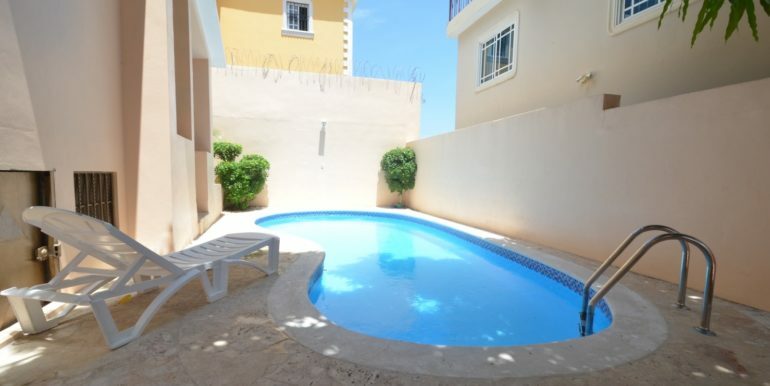 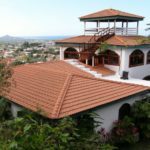 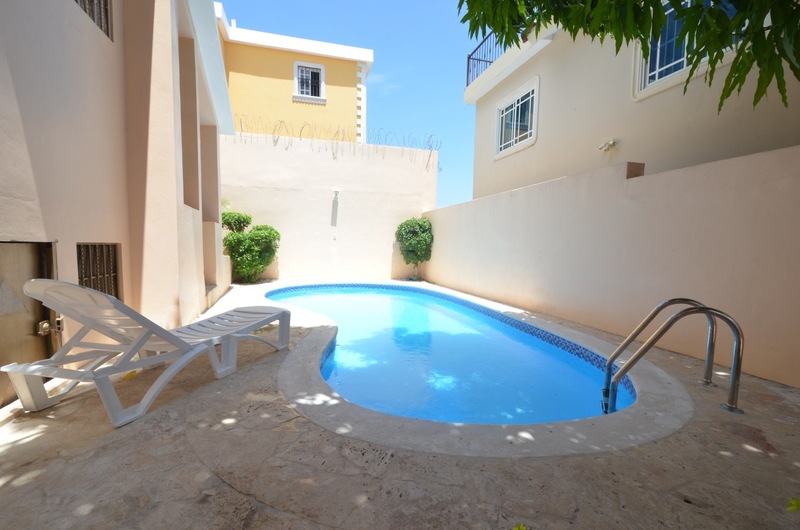 Located in one of the best selling neighborhoods of Puerto Plata, this house is very large, almost 2 houses in one. 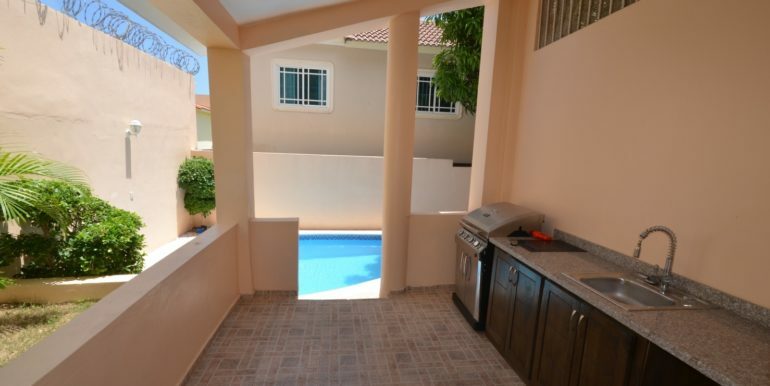 The second level has a full kitchen like the first level, with a large living room and roofed balcony. 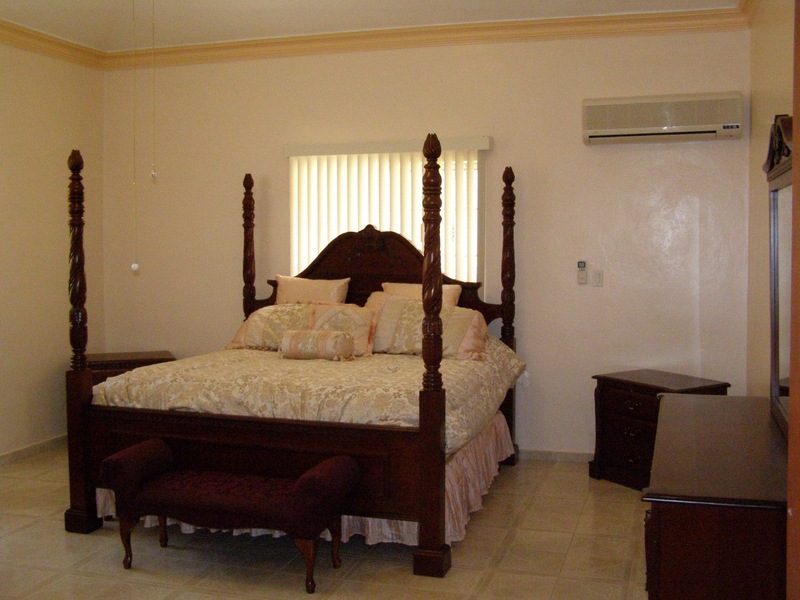 The master bedroom is very large, with a wide walk-in closet that leads to a wide bathroom with Jacuzzi and shower cabin in glass.